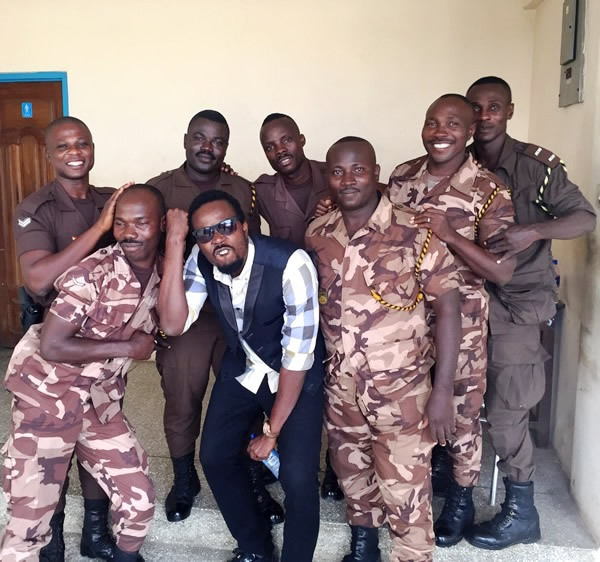 Rapper Kwaw Kese is about to make history as the first ever entertainer in Ghana to support the Ghana Prison Service as part of his cooperate social responsibility over a period of twenty years. The “Swedru Agona” Rapper’s Kwaw Kese Foundation is set to launch an elaborate twenty year development project which was set up to respond to issues of substance abuse and congestion in the Ghanaian prisons. “Our aim is to support the Ghana Prisons Service and to a larger extent, the government in its efforts to address infrastructural needs of our prisons. As part of our efforts to achieve that, the foundation and its team would embark on a pre-Launch nationwide tour.” Kwaw Kese stated. The press launch of the Kwaw Kese-Ghana Prisons Project is scheduled for Tuesday 18th of August, 2015 with a Press Briefing at 8am at the Prisons head Quarters Cantonment. During the program he will outdoor all his plans in the twenty year development plan for Ghanaians to know that the foundation has officially started. After which the team will head to Accra Mokola to start the tour Dubbed the one Ghana Prisons project at 11 to 4pm in which Kwaw will sing to solicit for money. The founder, Kwaw Kese, a prolific musician, upon experiencing a devastating incarceration in the Kumasi Central Prisons, decided to embark on this life-changing project to educate and to raise funds to help address the afore mentioned. 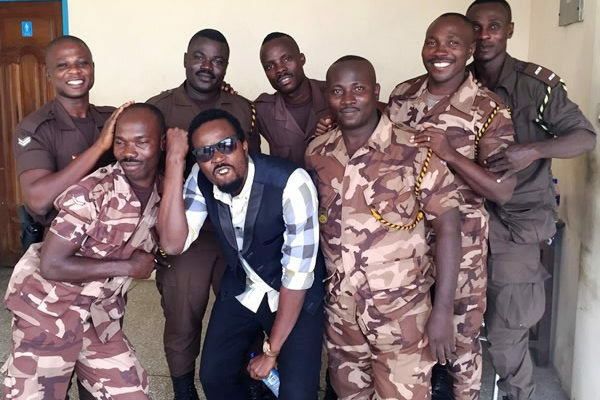 Kwaw Kese’s first effort to support the prisons was during this year’s Valentine’s Day when donated several item to the Kumasi Central Prisons. Actress Gloria Sarfo has responded to reports she is pregnant but has failed to confirm or deny the reports. “If it is obvious that I am pregnant, you will see it. I can’t hide a pregnancy,” she told News One on Thursday. Even though the paper pushed her to get answers, the actress insisted her response was that ‘pregnancy cannot be hidden’. She also refused to comment on why she had stopped flaunting a promise ring given her by her boyfriend years ago in public. 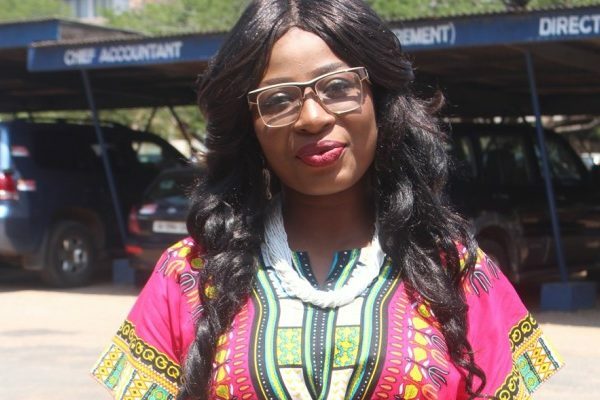 News that Gloria Sarfo was pregnant hit the grapevine just when she stopped wearing her promise ring, sparking huge speculation on her love life. Two years ago a certain gentleman, whose name was given as Justice, publicly proposed to the actress in front of a live audience in Kumasi during the then Kumawood and Akoben Awards. Justice, at the public event, put a promise ring on Gloria Sarfo’s finger, attracting huge public attention to their relationship. Gloria religiously wore the ring and even flaunted it with pride at the 2013 edition of the Ghana Movie Awards red carpet. The ring has vanished in recent times yet she has declined to comment on it. It is currently not certain what happened to the ring and there are doubts if there was a subsequent marriage ceremony to bind her to her boyfriend. Meanwhile some industry stakeholders have been suggesting the CEO of Ghana Movie Awards, Fred Nuamah, as a suitable match for Gloria Sarfo. But both celebs have been mute about that suggestion.